Female moths lay eggs in late summer and fall under leaves, on branches and in the crevices of tree bark. Each species seems to have a preference as to where it lays its eggs. Depending on the species, eggs are laid singly or in bunches. The eggs stay in place until they hatch in late fall or spring. The larvae have typical inchworm appearance and movements. 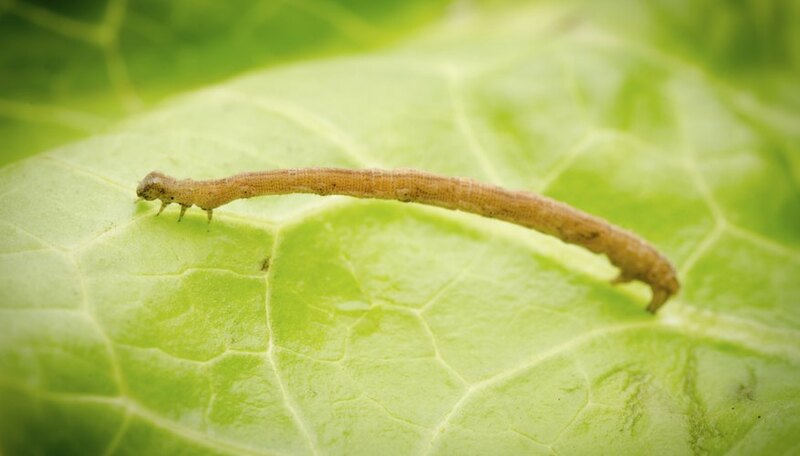 An inchworm larvae can be identified by two or three sets of tubelike appendages, called prolegs, under the head portion of the body and under the tail end of the inchworm. To move, the larvae reaches with its front prolegs, then scoots its abdomen to have the abdominal prolegs meet the front prolegs, giving it the recognizable inchworm movement. From hatching to pupae stage, the larvae eats--a lot. It does little else during this time. Two to four weeks after emerging as an inchworm, the larvae prepares to turn into an adult moth. In late June to early July, the spring-hatched larvae prepare to change again. At this time, thousands of inchworms seem to fall out of trees. The inchworms use silk threads to lower themselves to the ground. The larvae then burrow into the dirt or leaf litter to spin protective cocoons and become pupae. Depending on the season, pupae remain in the ground for several weeks or several months. If the inchworm emerged in early spring, it likely will emerge as an adult moth to lay eggs before the arrival of winter. If the larvae emerged in summer, it will live as a pupae in the ground during winter, to emerge as an adult moth in spring. 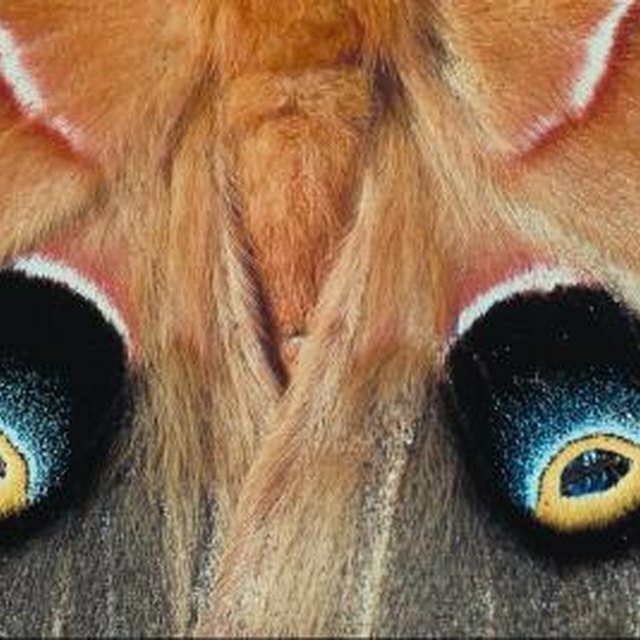 Adult moths begin emerging in late fall (October to December) or early spring. Most species of adults are a drab brown and reach lengths of ½ to 1 inch. Females do not fly--their wings are small vestigial. Males fly, and find the females waiting on tree trunks to mate. Inchworms are prolific and resilient. As larvae they feed on trees, shrubs and crops. They are considered a pest species and are greatly researched. 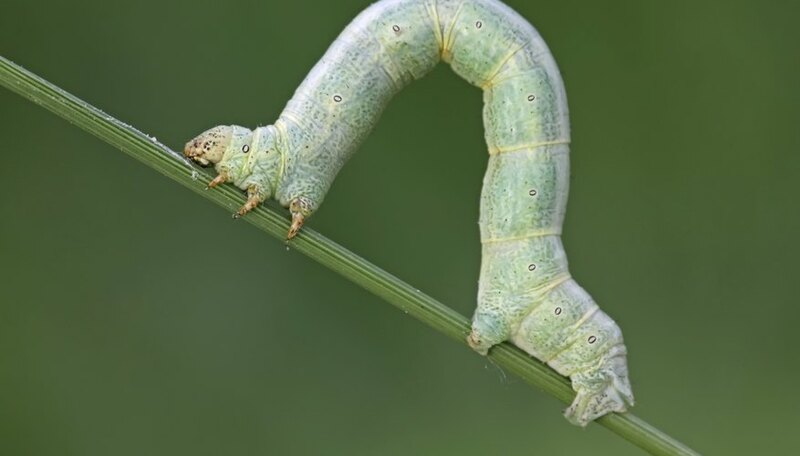 They are resistant to insecticides: Biological controls such as predatory wasps and infectious fungi are used to control inchworm populations and lessen the damage to trees and crops. Anders, Lynn. "Inchworm Life Cycle." Sciencing, https://sciencing.com/inchworm-life-cycle-6122809.html. 05 April 2018.